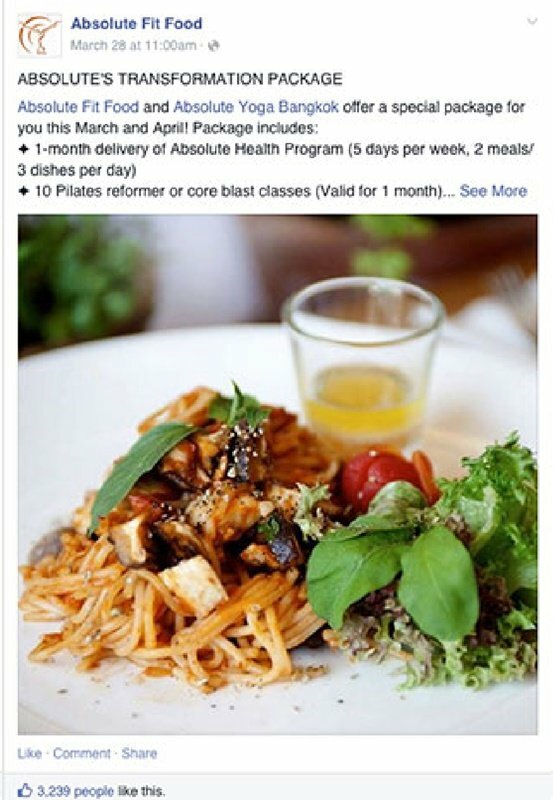 Promote their newly launched Pilates offer. Promote their newly established healthy food delivery service. 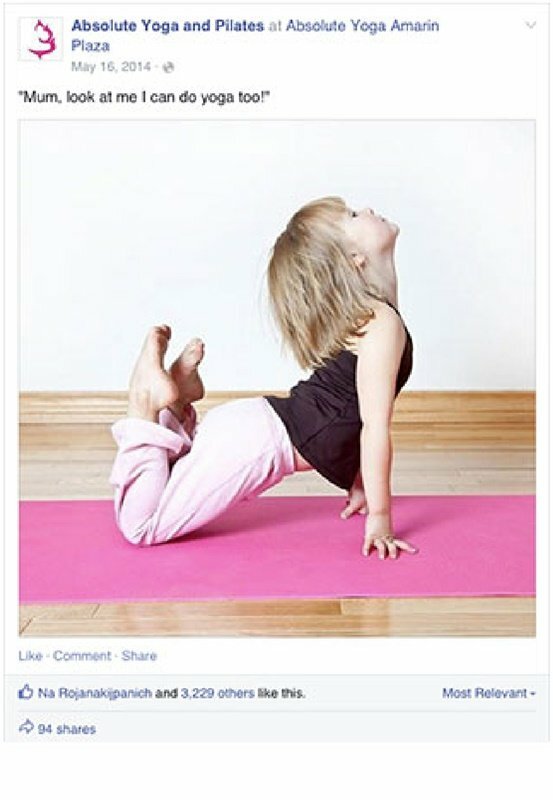 Encourage Yoga, Pilates, and Core Blast class attendance and repeat sign-ups. Protect the Absolute brand and launch of their franchise package. 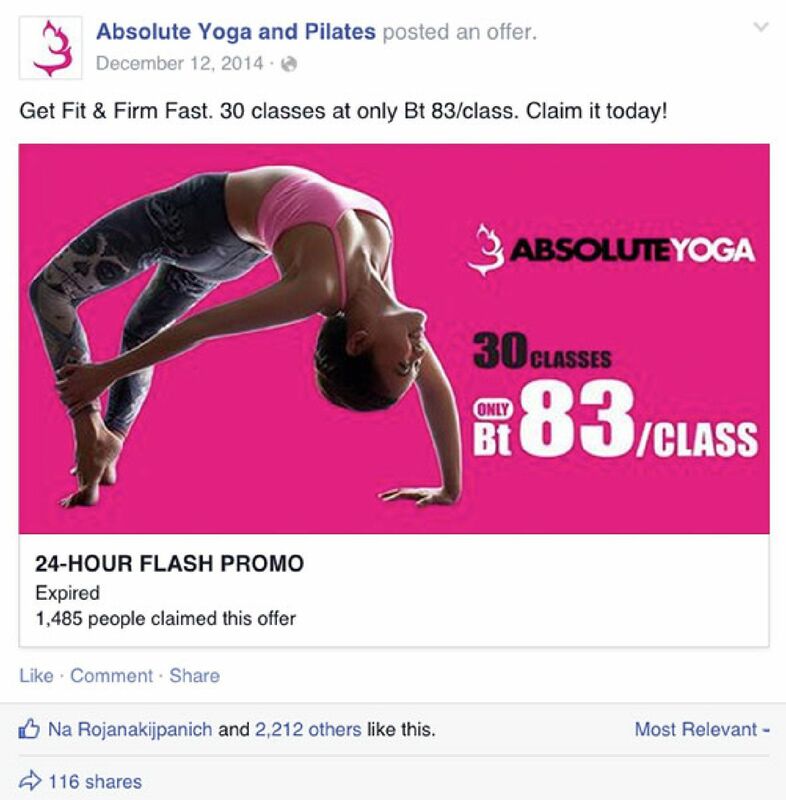 We initiated a brand awareness advertising campaign for Absolute Fit Food and Absolute Yoga & Pilates to reach out to target audiences who could potentially end up falling in love with both brands. The results were momentous. 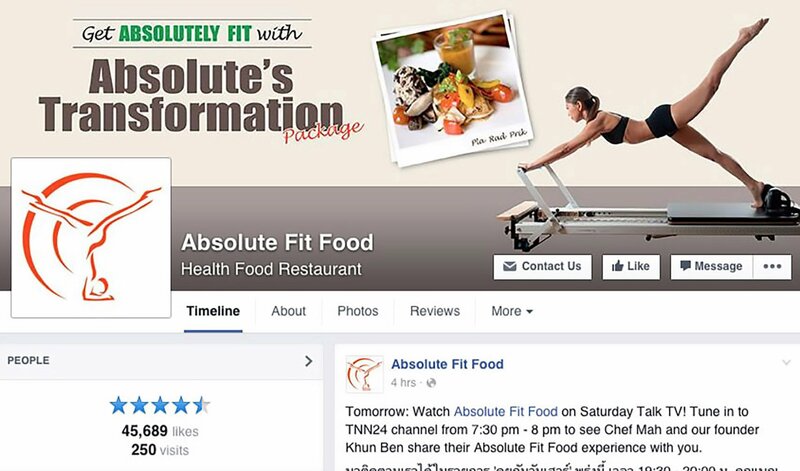 Absolute Yoga & Pilates’ fan base expanded from 14,000 followers to 87,000 followers while Absolute Fit Food’s fan base propelled from a mere 2,500 followers to 45,000 followers in just 9 months. With our fine precision in targeting these, both brands enjoyed an impressive organic reach – at 35% – 60% of their fan base while the global Facebook average is only around 3% as of January 2015. 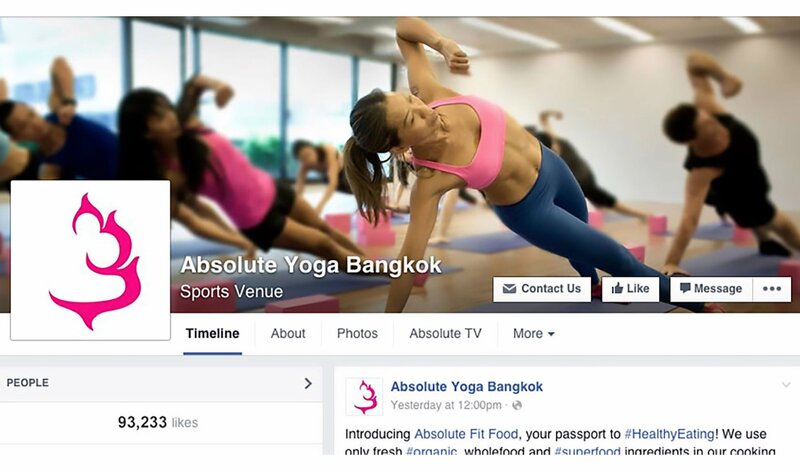 This also yielded strong engagement for Absolute’s content, promotions, competitions, events, and activities. To boost, we also successfully launched the group’s Absolute Yoga & Pilates application developed by Body & Mind to their existing members. 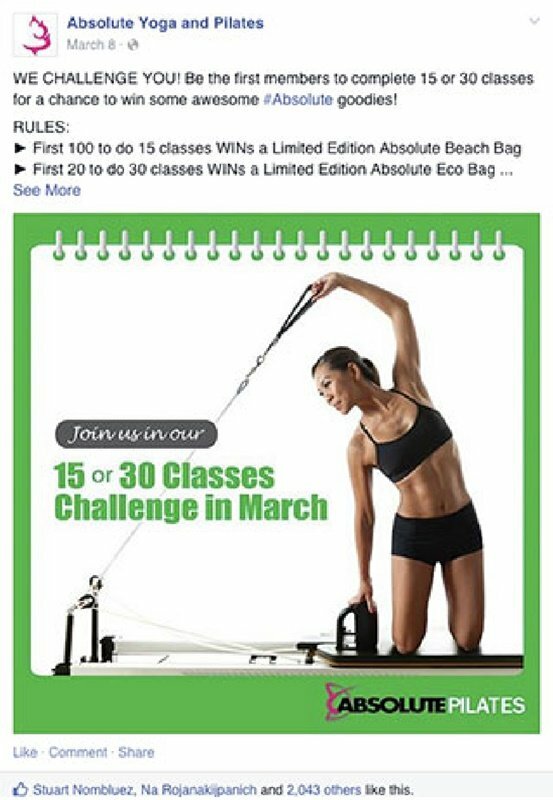 We also set out to educate targeted female audiences and readers about the benefits and visible results that Pilates can bring to a woman’s body. Our team partnered with our PR partner to roll out this campaign. 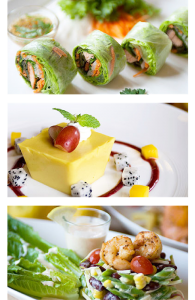 For Absolute Fit Food, we differentiated it from other “healthy” food delivery services. This was achieved through highlighting the fact that Absolute Fit Food goes the extra mile to ensure that the food they prepare and deliver is truly healthy. We’ve been successful in recruiting new customers for both brands. One such successful campaign involved setting up a special offer for newcomers to the studio. With our targeting, about 1,500 people claimed the offer, out of which 290 ended up actually purchasing the package in the studio. 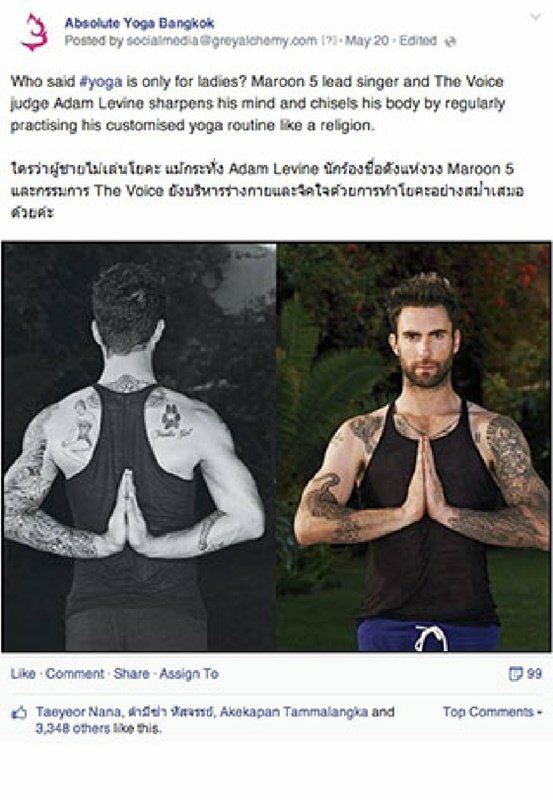 To add to their strong brand presence, Grey Alchemy managed the brands’ celebrity endorsement programs on the group’s Instagram profiles. 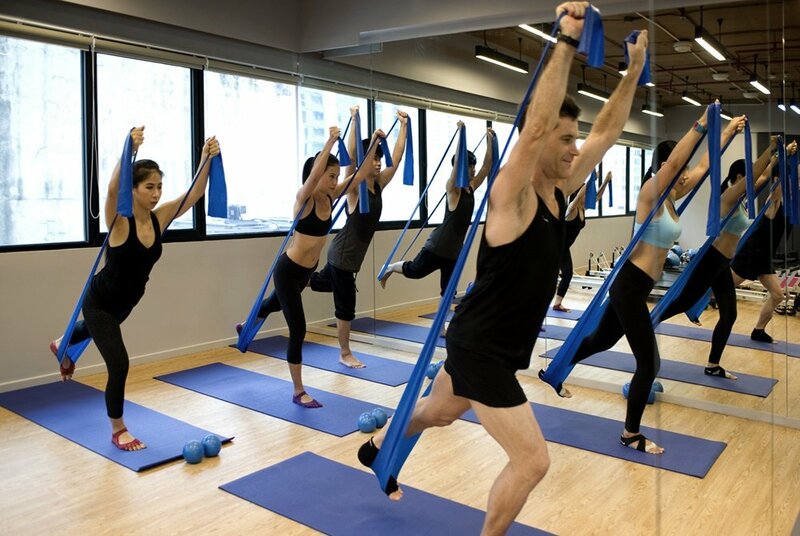 We worked closely with our intellectual property lawyers and specialists to help Absolute Yoga Group get their various brands and copyright registered in the name of a new holding company. A franchise package was developed and a franchisee selection process was established. Additional steps involved were license and know-how agreements to prevent the misuse of all IP assets. Particularly, their brands were recorded in countries of interest so as to avoid trademark squatting. We also protected their right to withhold confidential information related to their know-how.